Are you new to recording — and concerned about how your project will sound? Confused by all the options available? Or are you an experienced recording artist, looking for a pro studio environment comfortable enough to bring out your best performances? 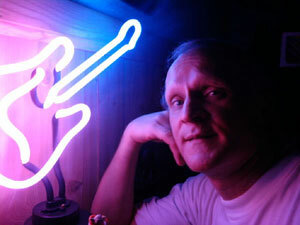 Paul Barton, owner of Studio 415, is a friendly, easygoing and respected music producer, sound engineer and musician. No matter your level of experience, you’ll find Paul’s relaxed style helps bring out your best. His engineering and production skills ensure your performance shines in the final mix. Many recording artists who try the “do it yourself” approach in an effort to save money soon encounter problems. Without the right mix of facilities, a skilled engineer and an experienced producer, the results of self directed projects often fall short of expectations. And a “bargain” CD that sounds lame is no bargain! On the other hand, services at many “big city” studios are out of reach for most anyone without a fat wallet or substantial financial backing. You’ve put your heart and soul into your music — now invest wisely in the audio recording! Talk to Paul at Studio 415 to get ear-pleasing quality at reasonable rates. Are you in search of a comfortable and affordable audio recording studio for tracking? Have you discovered you need someone to produce your recording to help you get the top-quality sound you desire? Do you have good tracks already cut, but want professional quality mixing and mastering to put the final polish on your audio recording? Paul offers a full range of audio recording and music production services, customized to your unique needs. Click here to contact Paul and learn more about your options. 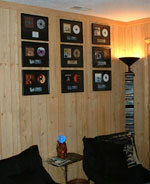 Studio 415 is a full-service digital audio recording studio located in Johnston County, NC, near Raleigh. 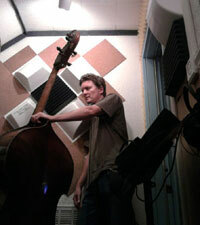 Run by a musician, for musicians, Studio 415 is where the best come out to play!